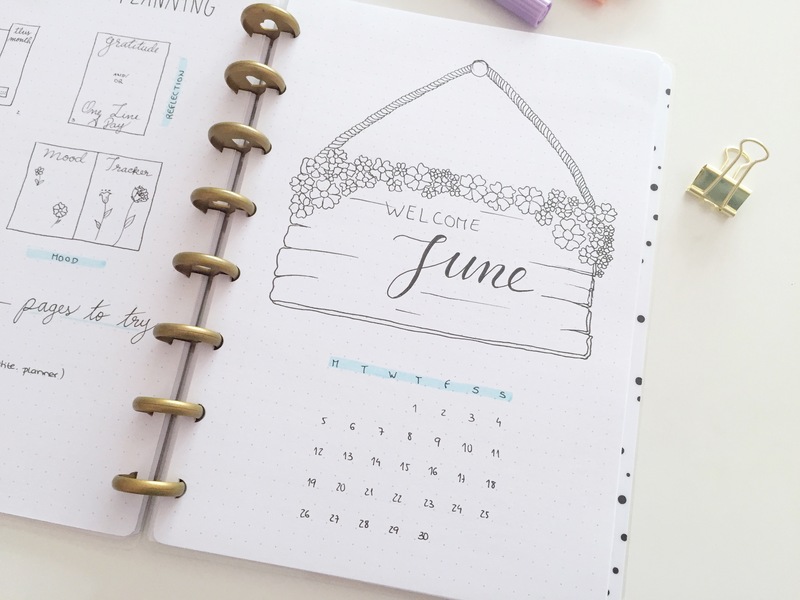 I randomly saw a picture of a wooden board with flowers acting as a border, so I took inspiration from that and made a cute little plaque to welcome June into my life. Inspiration is everywhere, guys!! So for the calendar, I wanted to try Boho Berry‘s layout. 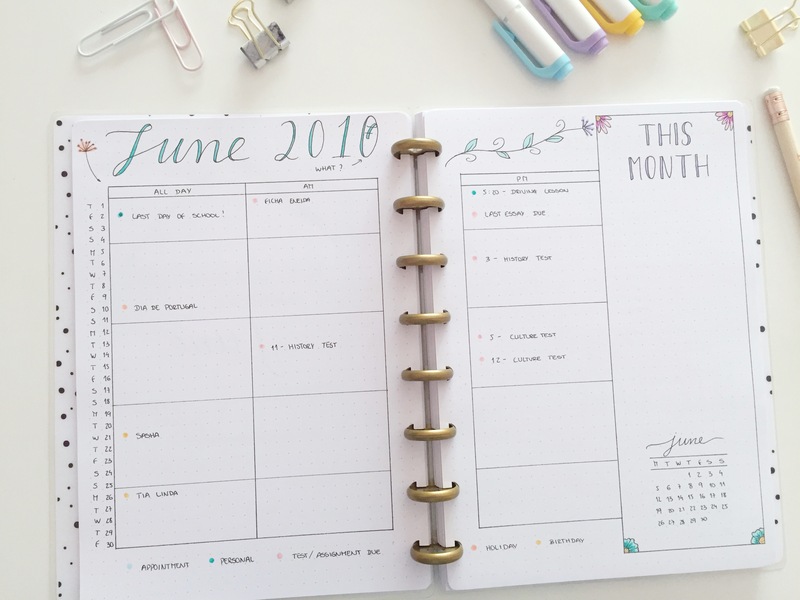 I’ve been doing a list-format calendar for a while, and I find that, if I have more than one thing happening on a certain day, I can’t fit everything in that one day, so extending the calendar will definitely come in handy! I think this layout is going to work very well, but I’ll keep you updated! Next up is my tracker, which looks pretty much the same as May’s tracker. 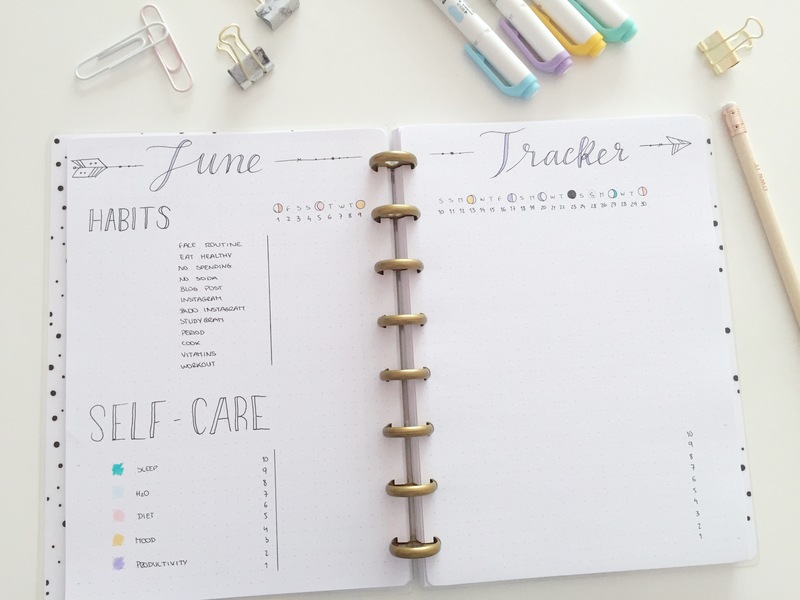 I prefer to do it vertically instead of horizontally because this way there’s more space, and I don’t have to turn my journal around to fill it in each day. I’m tracking the same things as always, but now I also track whether I take my vitamins/supplements. Like I did for May, I added the moon phases in the hopes of figuring out how the moon affects me, so I can maybe use it to my advantage?? Last time, I drew 31 flowers with the intent of coloring them in each day. This time, I didn’t feel like drawing a whole page of flowers, so I’m going to draw one every day and fill it in with the color that corresponds to my mood. I love the Mood Mandala, but I can never keep up with it, and I hate to color in the bigger circles, so I give up for now! This month I’m going to attempt to actually keep up with this page – I really like doing it, I just rarely remember to! 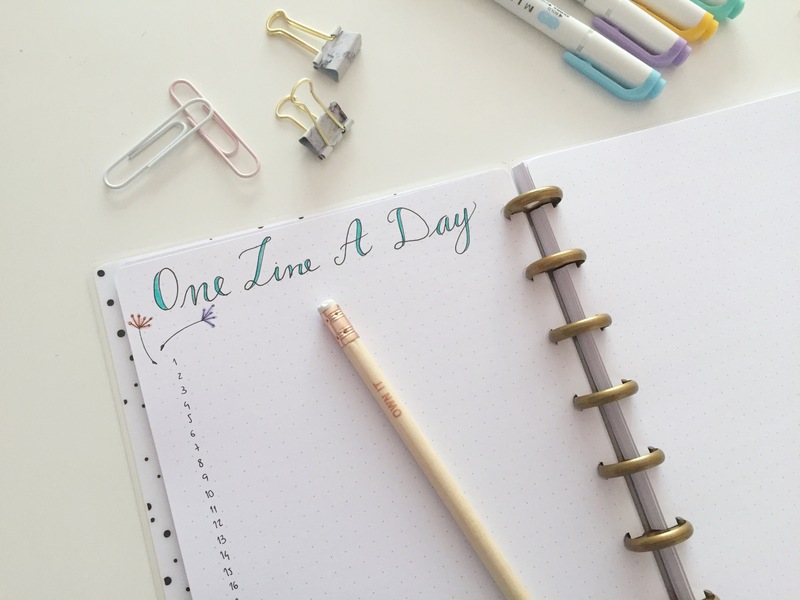 The idea is to write one line about your day, every day. It’s very simple, and you can write whatever you want. It’s also fun to look back on!! 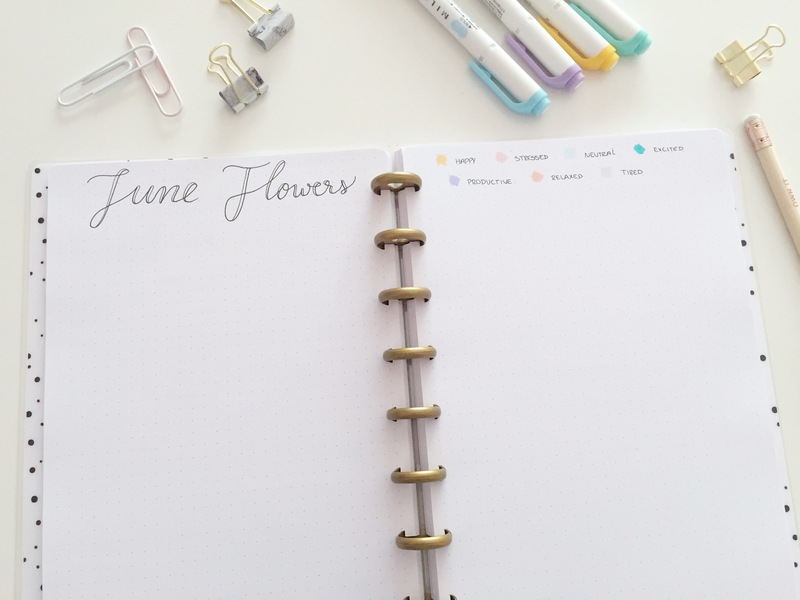 Alright y’all, that’s everything I have on my journal for June. I will be adding more spreads, so if you’d like to see them, definitely follow my Instagram account! I hope you liked this setup, and don’t forget to watch the video where you can see me do all of them. 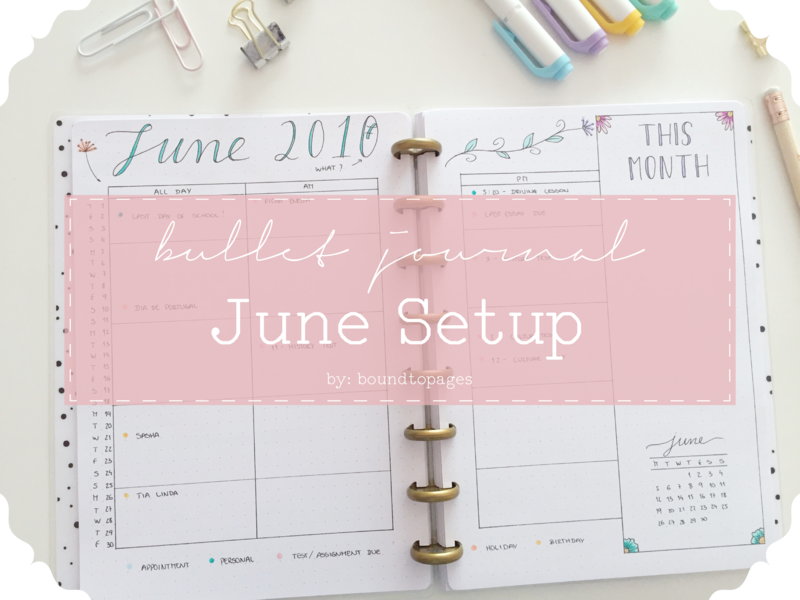 If you’re interested in seeing previous setups, here are the posts for February, March, March (mini journal), April and May.